At the Madrid Open women's semifinals on Friday No. 4 Petra Kvitova snapped Serena Williams' 27-match win streak and handed the No. 1 her first loss of the season, while Svetlana Kuznetsova defeated Maria Sharapova to advance to the final. 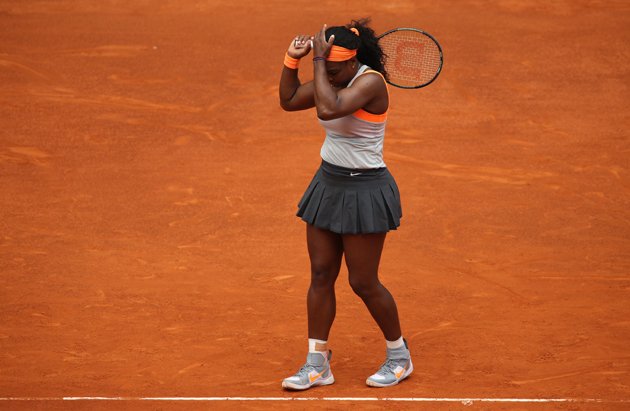 It was a day of upsets in the women's semifinals at the Madrid Open. No. 4 Petra Kvitova snapped Serena Williams' 27-match win streak and handed the No. 1 her first loss of the season, winning 6-2, 6-2 to advance to the final. The win also snapped Serena's 50-match win-streak at WTA Premier Mandatory events, a streak that dates back to 2012. Kvitova's big win, her first in six tries against Serena, followed No. 29 Svetlana Kuznetsova's 6-2, 6-4 win over defending champion Maria Sharapova. Kvitova came out firing and unintimidated by the prospect of facing Serena. She jumped all over Serena's serve, firing second serve return winners seemingly at will. Serena served at 55% and won just 29% of her second serve points. Kvitova broke her six times in the match and backed up that return game with a solid serving performance. The Czech hit seven aces to Serena's six and saved four of six break points. When the dust settled after 73 minutes, Kvitova tallied 25 winners to 14 unforced errors. Serena hit 17 winners to 29 unforced errors. The American was not at her best but the way Kvitova was hitting the ball it may not have mattered. The big question for Serena is whether she will head to Rome for the Italian Open or opt to rest and practice before the French Open. She looked sluggish against Kvitova, at times possibly injured. She struggled with her footwork and drive into her service motion. Earlier in the week she survived three match points against Victoria Azarenka in a lengthy battle. Mailbag: Can Petra Kvitova be more than a grass-court great, win Slams? ​As for Kuznetsova, it's been one of those weeks when her athleticism, talent and shot-making all comes together and you're left scratching your head as to how she's only won one French Open title. It was a turn-back-the-clock performance from the Russian, apropos given how much the clock has factored into her resurgent week in Madrid. After earning two strong wins over No. 8 Ekaterina Makarova and No. 20 Garbine Muguruza in the first two rounds, Kuznetsova played three matches in 38 hours. She needed over two-and-a-half hours to beat Sam Stosur 5-7, 6-2, 7-6 in a match that ended just before 1 a.m. on Thursday morning, then turned around for a 3 p.m. start time to beat Lucie Safarova 5-7, 7-6, 7-6 in over three hours. The conventional wisdom was that Kuznetsova's tank would be empty for Friday's early start against Sharapova. Sharapova won their last four matches and Kuznetsova had not beaten her Fed Cup teammate since 2008. 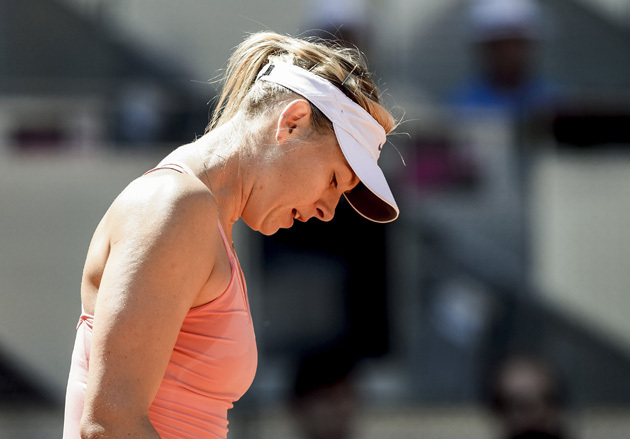 Yet she came out to play a near-perfect match to take advantage of a flat day for Sharapova. The defending champion saw just one break point opportunity in the match and struggled on her own serve. Kuznetsova broke her three times and kept the heavy pressure on Sharapova's vulnerable second serve. By advancing to the final, Kuznetsova will return to the Top 20 and hit her highest ranking since 2012. A win would have moved Sharapova back up to No. 2 ahead of Simona Halep. The two have been jockeying for the No. 2 ranking in order to snag the No. 2 seed at the French Open. Neither have any points to defend next week at the Italian Open. Saturday's final will see Kvitova going for her second Madrid title and Kuznetsova trying for her first. Kvitova leads the head-to-head 3-1, but Kuznetsova won their only match on clay. That came last year at the French Open, a dramatic and top-quality affair that saw the Russian edge it out 6-7 (7), 6-1, 9-7.